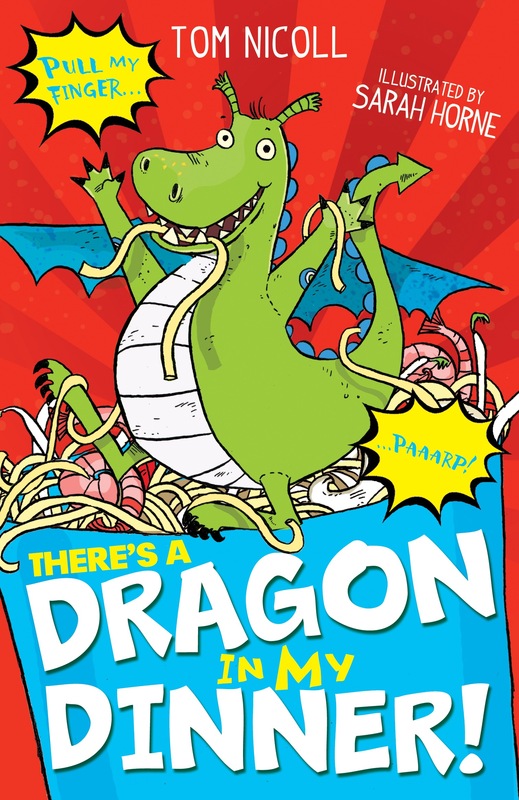 There’s a Dragon in My Dinner by Tom Nicoll and Sarah Horne is a brilliantly pitched book for newly independent readers who are looking for something to get their teeth into. Split into ten short chapters with Sarah Horne’s fab illustrations throughout, There’s a Dragon in My Dinner is a fun, fast paced and action packed story that will have kids everywhere digging through their beansprouts with bouncy anticipation. To celebrate the launch of this fab new series, I asked Tom Nicoll to share his favourite books for new readers. And what a stonking selection he made! 1. Fantastic Mr Fox – Roald Dahl, Quentin Blake(Illustrator). I’ll be honest, I could have picked any book by Roald Dahl here or even filled the whole list with his books (My wife suggested the same thing). I’ve picked this one though because it’s brilliantly funny, but one of Dahl’s shorter books so it should hopefully leave you wanting more. The good news is there’s plenty. 2. Peanuts – Charles Schultz. I read tons of comics when I was young, but my favourite was always Peanuts. One of my favourite experiences in the past few months was taking my four year old daughter to see the new Peanuts movie. In a way it almost felt like passing something on to her. There are countless collections available and you can’t really go wrong getting any of them, though I do love the new the recent hardback releases of every strip going back to 1950. 3. Cakes in Space – Philip Reeve and Sarah McIntyre – This is the second book by Reeves and McIntyre and has possibly one of my favourite titles for a book ever. I live to think that their publishers asked them what their next book was going to be and they were just like ‘Three words: Cakes. In. Space.’ *Mic Drop* The book itself is delightfully mad and full of fantastic illustrations by Sarah McIntyre. 4. Flat Stanley – Jeff Brown, Scott Nash(Illustrator) – Another book that tells you all you need to know in the title. Stanley’s life is changed when a pin board falls on him, turning him into a human pancake. Hey, we’ve all been there. Imagine what life would be like if you could slide yourself under a door or post yourself on holiday. Well you don’t have to imagine because this book will tell you. 5. Fortunately The Milk – Neil Gaiman, Chris Riddell (Illustrator) – “Where there is milk there is hope” A wonderfully illustrated shaggy dog story involving pirates, vampires, aliens, time-travelling, a stegosaurus professor and a carton of milk. What else do you need to know? 6. The Grunts In Trouble – Philip Ardagh, Axel Scheffler (Illustrator) – The first in the series about Mr and Mrs Grunt and their sort-of son Sunny, who they stole from a washing line. I love the way Ardagh writes – there are so many jokes packed into every sentence. 7. The Spy Who Loved School Dinners – Pamela Butchart, Thomas Flintham (Illustrator) – When a new French girl starts at her school, Izzy is convinced that she must be a spy. The evidence: she loves school dinners. No one loves school dinners. I like the rambling style of the book, told from Izzy’s point of view. 8. The Little Vampire – Angela Sommer-Bodenburg, Amelie Glienke (Illustrator) – The first in the series of stories translated from the original German about a nine year old boy Tony and his vampire best friend Rudolph. One of my childhood favourites. 9. Charlotte’s Web – E.B. White, Garth Williams (Illustrator). Alright, so most of these recommendations are funny stories. I really like funny stories. But if you’ve had enough laughing and want to have a good cry instead then you could try this book. It’s about the friendship between a pig who doesn’t want to get eaten and a spider who does everything she can to help him. We read this when I was in school, so just picture a room full of kids all trying, and failing, not to cry in front of each other. Yeah, so be warned, it’s pretty sad. 10. Dirty Bertie Stinky Stories (Mud! Germs! Loo!) – David Roberts (Illustrator), Alan MacDonald – if you’re needing a good laugh after Charlotte’s Web then this book should do the trick. Full of disgusting humour, these stories will turn your tears into, well, more tears actually. But they’ll be tears of laughter this time so that’s good. And this one is actually three books in one – bargain! 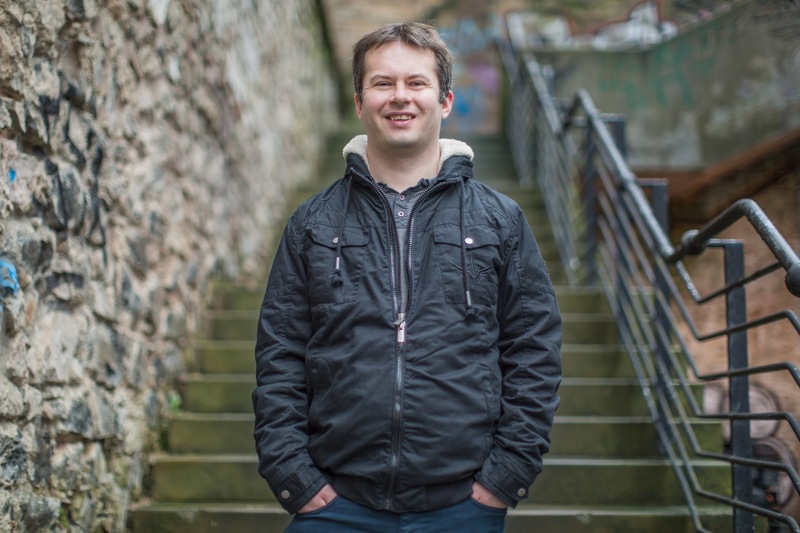 You can also read an interview with Tom over at Emma’s Bookcorner here. There’s a Dragon in My Dinner, written by Tom Nicoll and illustrated by Sarah Horne, will be published on the 11th of February by Stripes Publishing. Look out for There’s a Dragon in My Backpack and There’s a Dragon in My Toilet later this year. Source- Review copy kindly sent by Stripes Publishing.